A look at Tetsuya Mizuguchi's Tetris game in action. Game Watch has posted a four-minute gameplay video of the Tetris Effect demo shown at E3 2018 earlier this month. 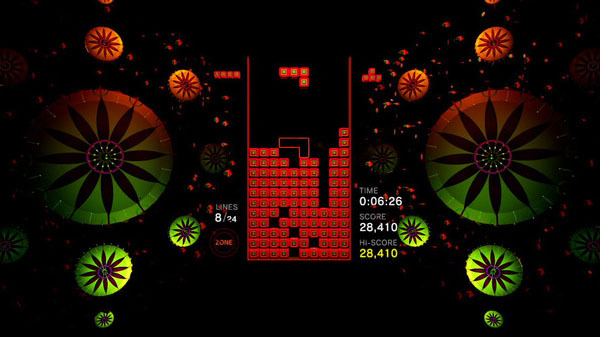 The recently announced Tetris game from Rez and Lumines creator Tetsuya Mizuguchi features over 30 stages, each with its own music, sound effects, graphical style, and background that evolve and change as you play. It includes a new “Zone” mechanic that allows players to stop time to get out of a troublesome situation. Modes such as Marathon, Sprint, and Ultra will return, and various new modes will appear for the first time. It also supports PlayStation VR. Tetris Effect is due out for PlayStation 4 this fall.